Nitro Games announced the launch of its new mobile game on the App Store and the Google Play store. 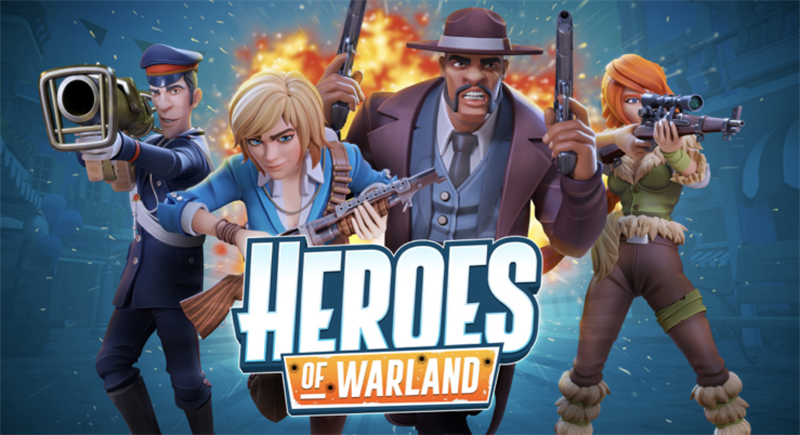 Nitro Games’ new game Heroes of Warland is now available on Android on the Google Play store and iOS on the App Store. The game has previously been available on Huawei AppGallery, exclusively for a limited time. ”Heroes of Warland is a unique combination of accessibility and competitive skill-based gaming on your smartphone. We’re now looking forward to bringing this experience to wider audiences and serving our growing player base with regular updates and new content,“ says Jussi Tähtinen, CEO & Co-Founder, Nitro Games Oyj. The game is now available in 102 countries on the App Store and in 91 countries on the Google Play store. With this launch, the game is now available globally, excluding MENA countries and China, Macau, Hong Kong and Taiwan, which are reserved for later. Before this launch, the game has been available in selected markets in so-called soft-launch and on Google Play Open Beta with Early Access featuring. This launch follows Nitro Games’ strategy where the company is building a portfolio of games to be self-published in the western markets and accessing other markets via publishing partners. With Heroes of Warland, the company is now expanding its self-publishing to new markets in Asia. This company announcement contains information that Nitro Games Oyj is obliged to make public pursuant to the EU Market Abuse Regulation. The information was submitted for publication by aforementioned contact person on 15 November 2018 at 09:00 (EET).